Our most recent poll was on the type of water you fish most often. The results were a bit surprising to me. 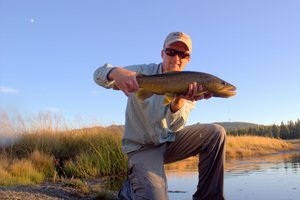 I knew that a lot of people fish tailwaters often but didn't realize that the majority of people fish them most of the time. My tailwater fishing is largely due to the fact that my beloved Smoky Mountains are just a bit far for quick half day trips. I can be on the Caney in 40 minutes from my house making a quick afternoon trip a distinct possibility. 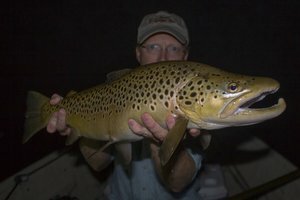 Many people are probably turned off by the small size of the fish in the Smokies compared to the larger tailwater rivers. Based on the crowds I see in the Smokies already, this is probably a good thing. 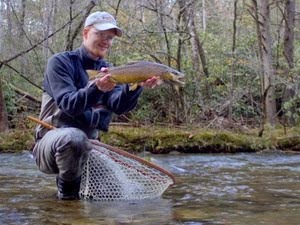 It takes dedication to figure out how to fish the Smokies successfully on a regular basis while most anyone can generally catch a few on a tailwater. 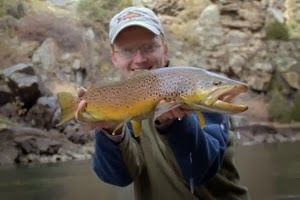 On the plus side, if you learn to catch fish on our mountain freestone streams, you can catch them just about anywhere. 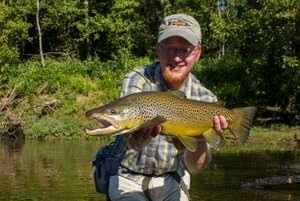 Overall, my favorite is to fish freestone trout streams, at least here in Tennessee. However, I fish tailwaters more because of their accessibility.